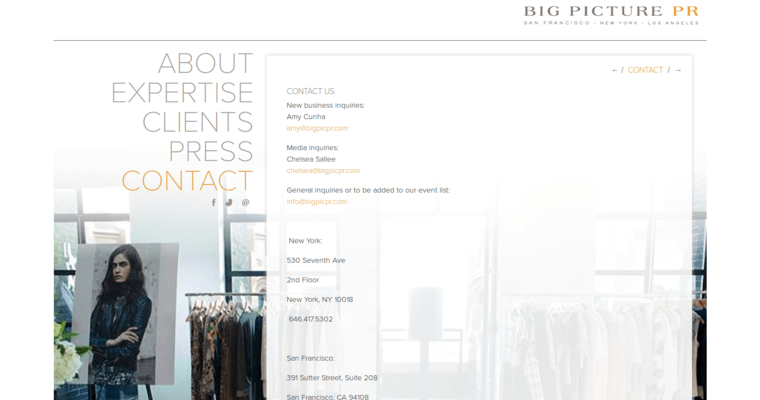 Big Picture PR is a well-known public relations firm that is equipped with offices in Los Angeles, California, New York, New York and San Francisco, California. The company concentrates on social media and public relations alike. It caters to lifestyle businesses that run the gamut. Big Picture PR collaborates with businesses that are known internationally. It collaborates with businesses that are just beginning as well. The Big Picture team makes a point to zero in on clients that are motivating to others. It puts time into markets like accessories, fashion, children, parenting, consumer technology, beauty, physical fitness, well-being, design and more. 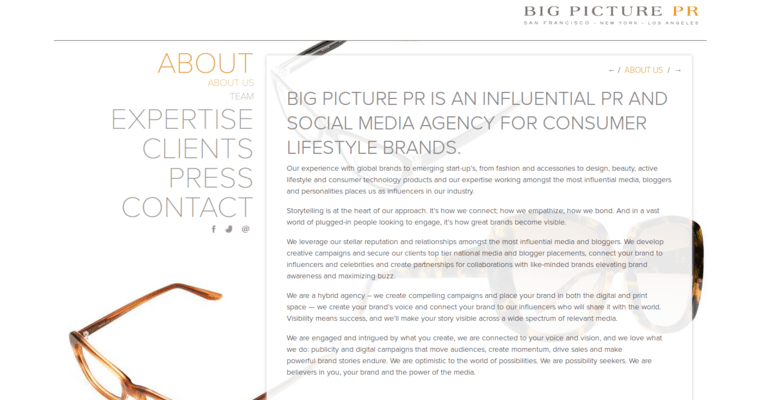 The Big Picture PR staff puts its clients in all kinds of print, Internet and media offerings. The professionals who are on the Big Picture PR staff comprehend digital public relations, brand liaison, product placement, design consulting and social media techniques. They've aided businesses like Spa Bar and Baggu.